Would you like to easily connect, collaborate, and communicate with other educators, parents, or classrooms- whether they're next door or around the world? This webinar will show how you can easily connect and collaborate with the free video chat resource, Google Hangouts. 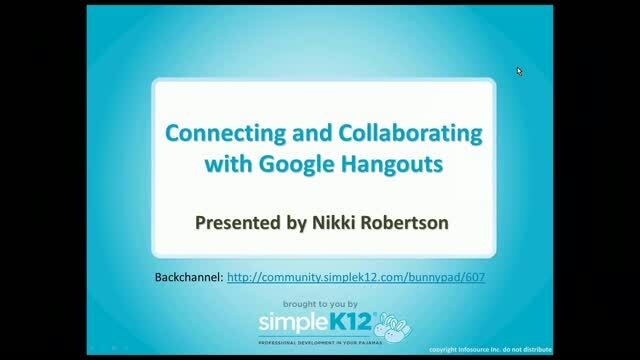 Join Nikki Robertson as she shares how you can use Google Hangouts to conduct parent-teacher conferences, collaborate with other teachers, or chat with other classrooms. 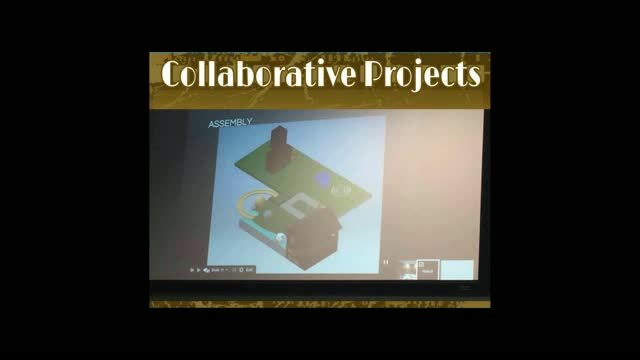 You will also learn how students can work on collaborative projects with students in other parts of your state, country, or the world. Thank you for so many new ideas. Great ideas for connecting outside of my classroom. I am so glad you had this information to share. 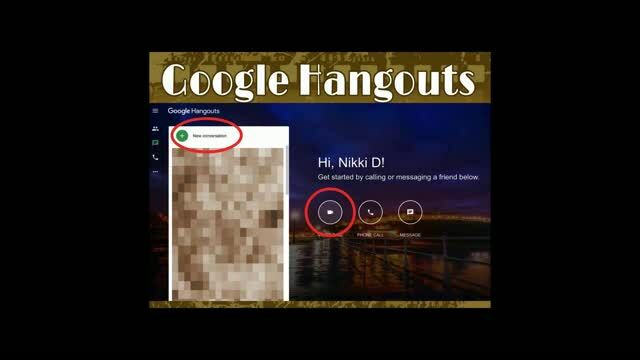 I am planning on using google hangouts for Global Read Aloud. 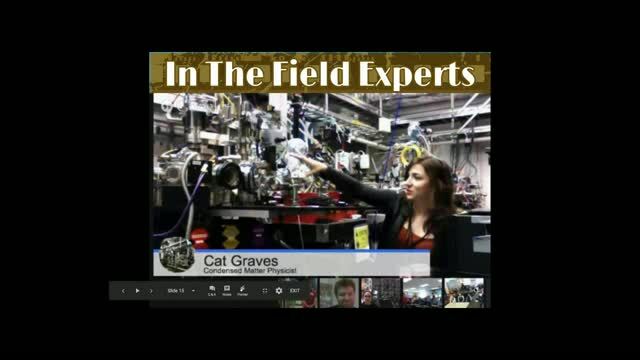 Some super ideas using Google Hangouts - thanks for sharing! Google Hangouts keeps students informed to school announcements and school information. It also teaches students to collaborate in solving problems which is important because it prepares them for the workforce.